Nokia Pakistan and UNESCO in Islamabad has launched a project “Mobile Learning Project for Teachers’ Professional Development” on Thursday. As part of this program, UNESCO and Nokia are joining hands, where Nokia is providing its mobile phones and application “Nokia Education Delivery (NED) for UNESCO’s project on ‘use of ICT for professional development of public school teachers’ in remote areas. Since 2011 NED has turned into an open source solution to improve livelihoods and support of such mobile learning innovations to be filled with life in Pakistan, The project will be implemented by AGAHI, a UNESCO partner and a non-profit foundation working in the area of communication and media policy design. 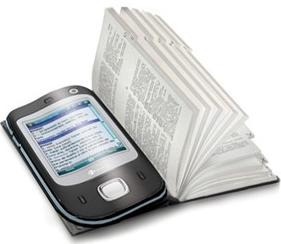 Nokia developed NED to allow using a mobile phone to access and download videos and other educational materials from a constantly updated education library. Operating in hundreds of schools and having reached millions of students in the Philippines, Tanzania, Chile and Colombia, Nokia Education Delivery has been shown to improve study results and increase retention among students. This collaboration is part of the agreement signed last year between UNESCO and Nokia at international level to promote the use of mobile technologies to further the objectives of “Education for All”. As part of this agreement Nokia is developing applications and new Mobile technologies offering access to information and enrich learning environments at global level. In Pakistan, through the project “Mobile Learning for Teachers” Nokia’s Education Delivery application will help UNESCO to enable the delivery of high- quality educational materials to teachers who lack training and resources though mobile phones giving an opportunity to teachers to train themselves on the same level as professionally competent teachers. Nokia Education Delivery facilitates education in a fun and interactive way. In addition to the NED software, Nokia offers program implementation support for the benefit of Pakistan’s education landscape. The Nokia Education Delivery software system has two modules. The first module is installed on a Nokia mobile phone and contains a browse able catalog of educational videos. The second module is installed on the computer of the education administrator. It manages the organization’s mobile video library, so that videos can be added, deleted and updated. It also provides information on the usage of different videos. This unique pilot project for Pakistan has been initiated by UNESCO and AGAHI aims at using Mobile phones as medium for training teachers, where the teachers in remote areas will be equipped with devices, SIMs, a software solution and high quality educational content. The course for training and capacity building will be developed into video files and will be transmitted step by step according to curriculum on the phones provided to teachers. Over the course of the training period, teachers will be tested via SMS on regular basis and as an incentive, those who will score highest in tests will receive free mobile top ups. At the end of the course, test scores of all teachers will be aggregated and the passing teachers will be awarded certificate in the final workshop. Great news, hoping that Nokia best of luck for there future….